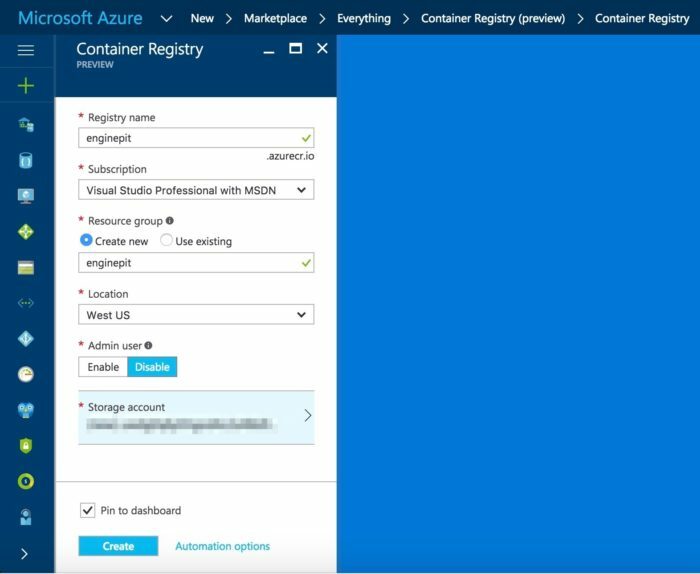 Microsoft has just released Azure Container Registry preview at Connect(). It is a private Docker container registry service like Docker Hub, GCR, and AWS ECR. I have a test run of ACR. 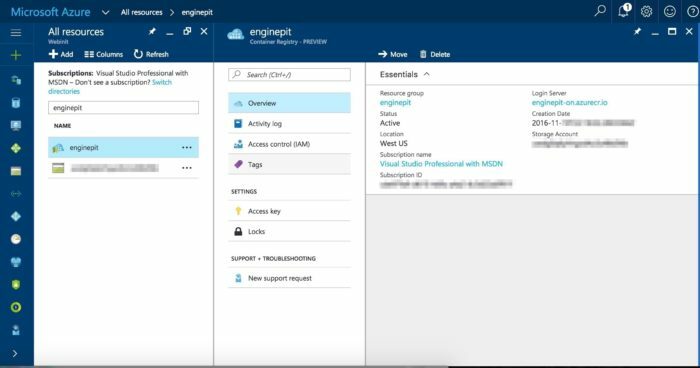 As usual, I sign in to the Azure Portal to add a new object. Here is the information I use to create the registry. Please note that I forgot to enable Admin User during creation. So I would need to change the registry settings later. After the registry is created, I open the container registry overview. 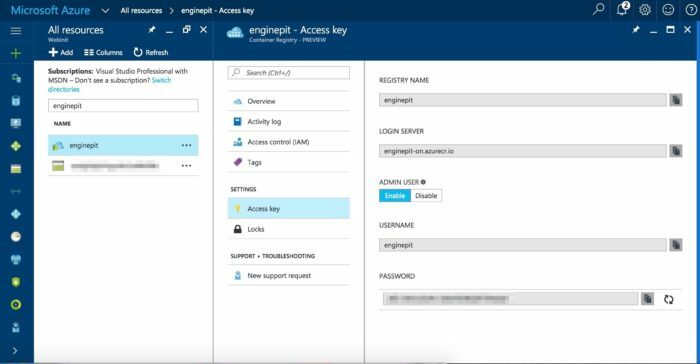 Please note that the registry settings are actually under “Access Key“, which is an odd language choice – still in preview. I could enable the “Admin user” option in Access Key. Logon server — This is my private Docker registry. Username and password — These are for docker login command. I have an image built for Alpine version of NGINX Docker image with libressl and luajit. Please note that I have the image built already. However, I still need to tag the image to use my ACR. Now log in to my private ACR with docker login. Then push the Docker image. Viola! Now I have the Docker image available in my private ACR. I can pull the image from ACR easily.